Are your Samsung phone needs to sign with a Google account that was previously synced on that device? 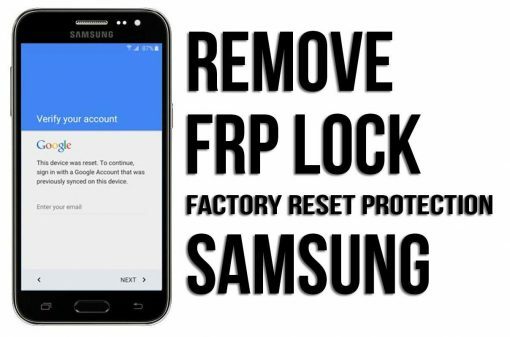 If your Samsung Smartphone is Remotely locked [Samsung Google Account lock / Factory Reset Protection (FRP)] by someone else or by a mistake of you, don’t worry. This is a cloud based lock in Samsung devices which can be unlock by entering owner Google account. We offer for Samsung Factory Reset Protection Unlock at affordable price. >Leading Samsung FRP lock solution provider. >We offer instant delivery if we online or contact with you within 12 hours. 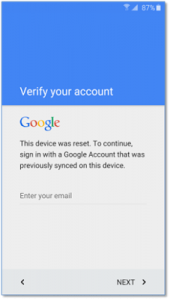 >We offer a Permanent solution for fixing the device was reset to continue sign in with google account your phone issue. >If you are a seller you are also welcome contact us for bulk Unlock. >Our service success rate is 100%. We will need access to your computer for Unlocking your samsung Phone. You will need the following things. A computer with internet connection and a USB data cable to connect your phone at your computer. A software for sharing USB port( We will Tel this to you after your order). Samsung Factory Reset Protection Unlock this service is really very good..I am now tension free..yahooo! !